Gone was my photo moment. I had one, or two, even three, but they were fighting! Try as I might, I could not get them lined up and looking at me with those cute masked faces. re-adjust, change the title, and wah-lah Mr. Ghost is happy to get all the attention. Who is that masked man and why is he wearing that contraption? 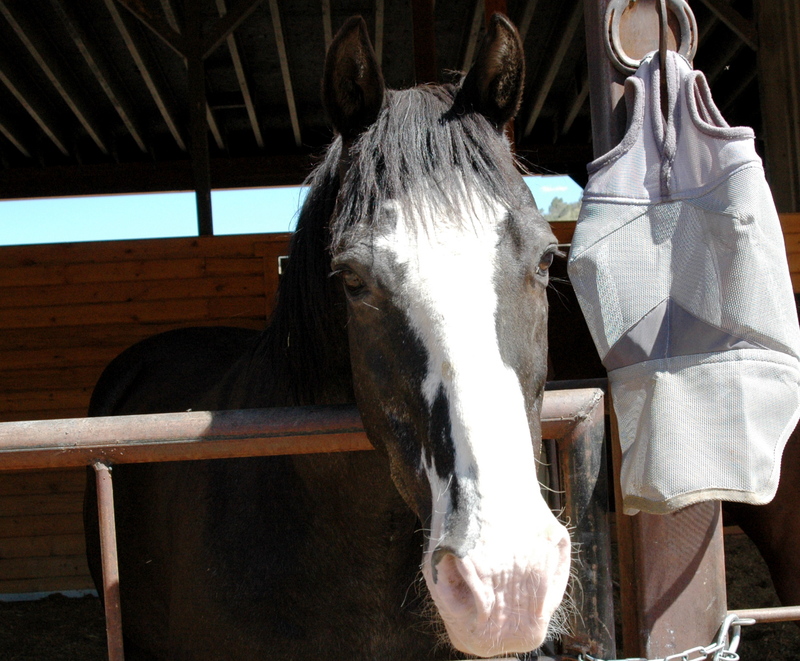 We keep these fly masks on during the day when the flies are especially pesky. The flies can irritate the eyes making it very uncomfortable and even cause infections. The next thing you’re probably wondering is why is the mask so torn up? 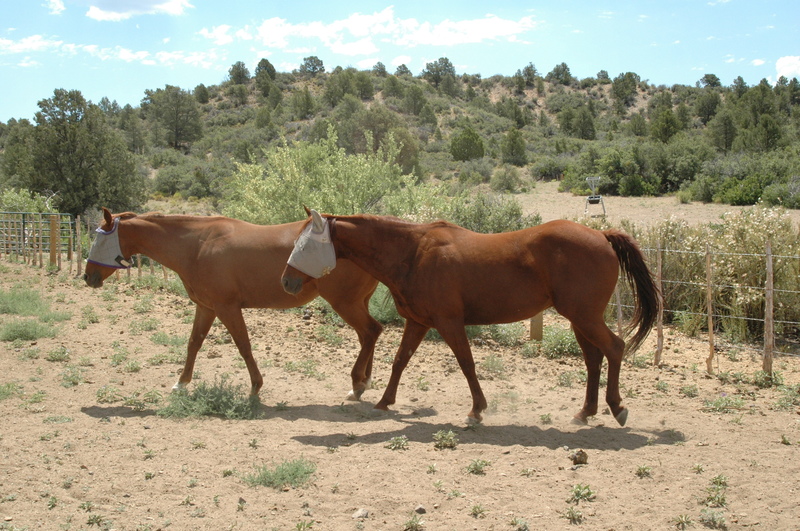 Unfortuantely, our horses have no respect for their masks or even care that we spend hard earned money for them. To the horses it’s just something to play around with. For example, Mr. Ghosts’ mask started out with ears and a nose shield, both parts being important and hard to find at the store, but while horsing (sorry) around with Yabba, the nose cover was ripped off. Most masks just come with the eye protection and ears if your lucky, but it is very hard to find the mask with all three. 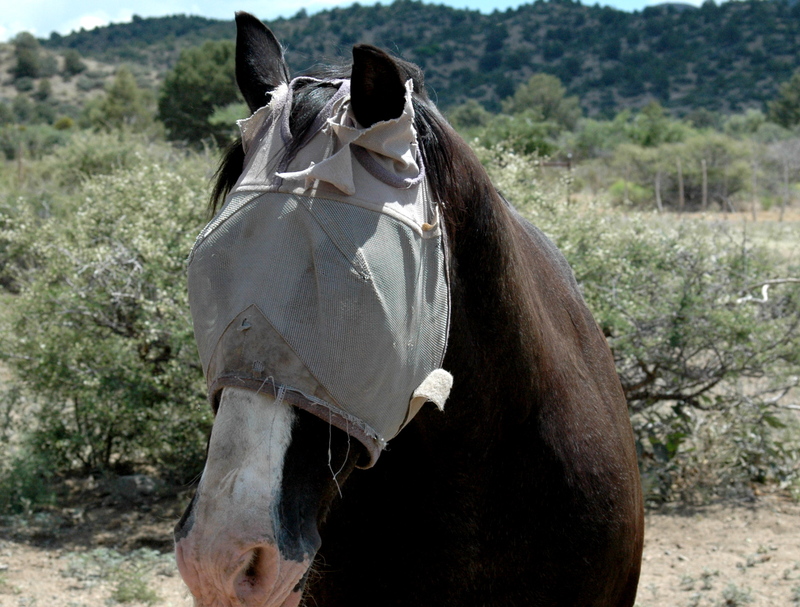 Horses with big noses, actually big white noses really need the protection from the sun. 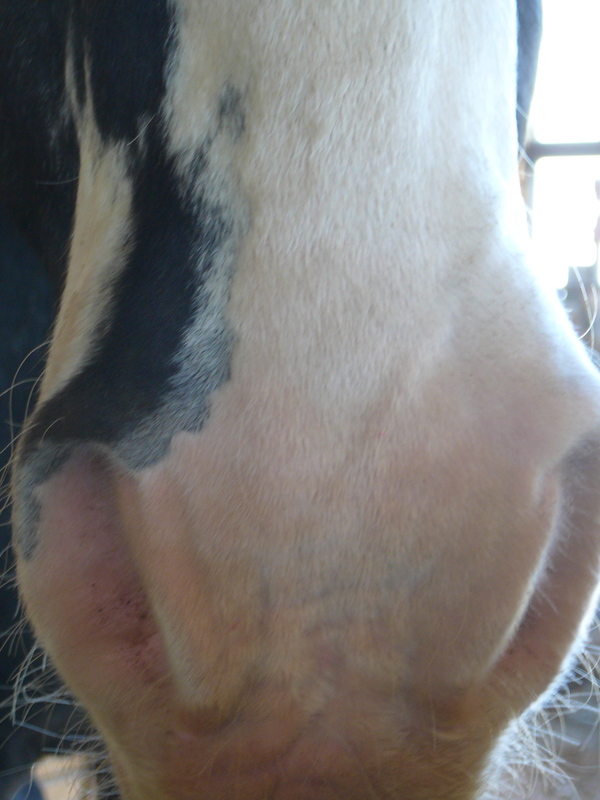 I’m not naming any names, but let’s just say one of our horses really needs his nose mask . I’ve sewn the nose on (the mask not the horse) a few times, but take a look at the ears on the mask again. It looks like we don’t take care of our guys so I decided to buy a new one, besides, I couldn’t find the missing nose piece in the pasture. Notice though, no ears. I said it was tough to find a mask with all three. Lucky for Mr. Ghost, his ears are black and don’t sunburn very easily. 2 Responses to Who is that masked man? I love the pictures! Mr. Ghost is quite the photogenic old man! 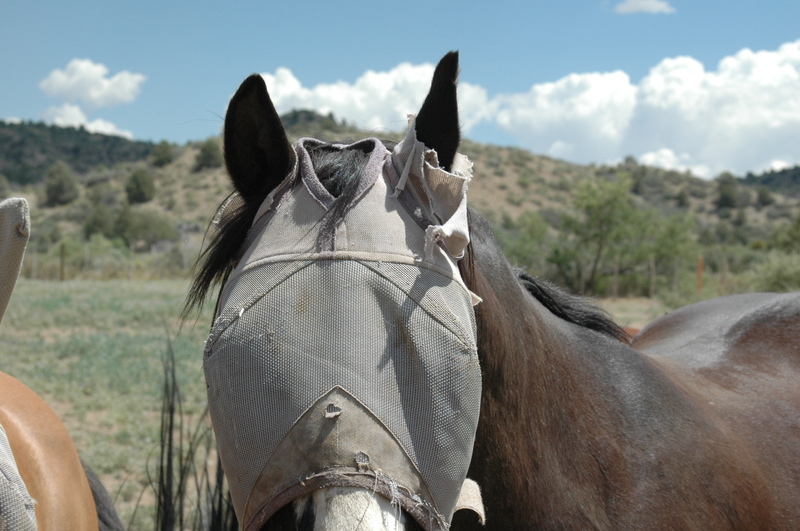 Don’t worry about the torn up fly masks too much, your horses just know that the distressed look is really popular these days. Just try going to the mall and getting a pair of jeans WITHOUT a hole already in them…they’re just trying to be cool! 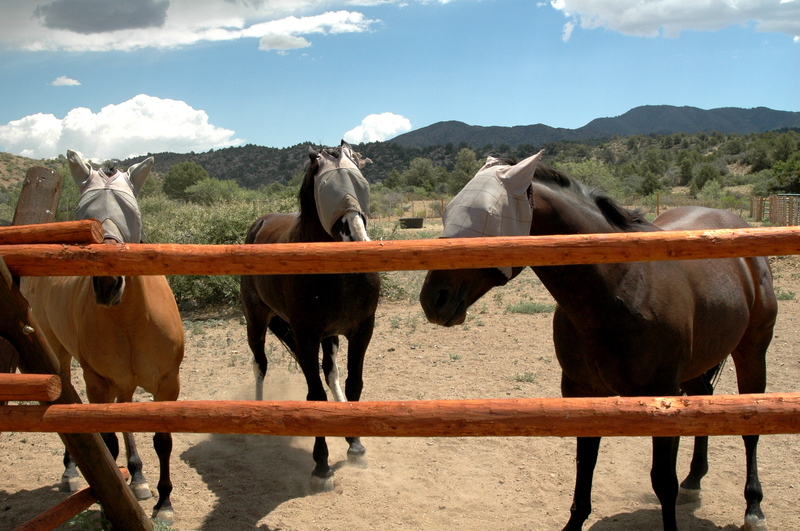 Oh good it’s nice to know we’re styling at the ranch!